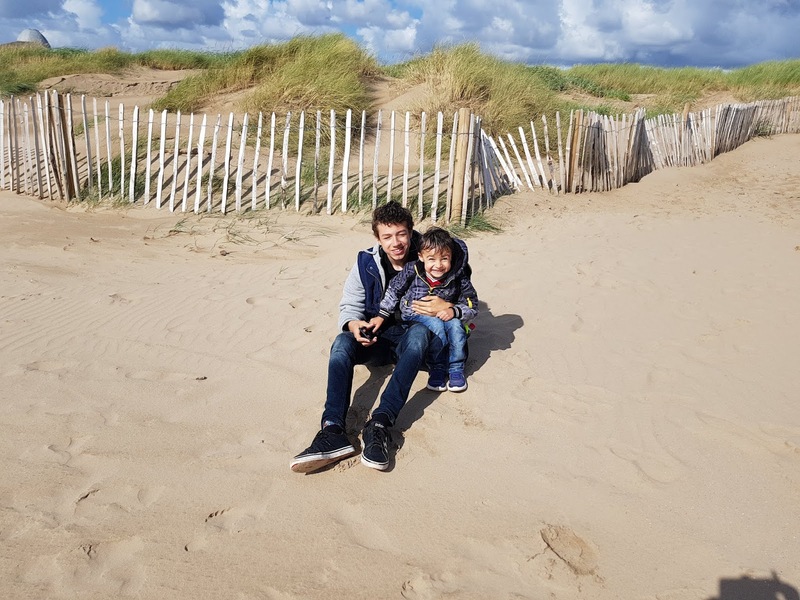 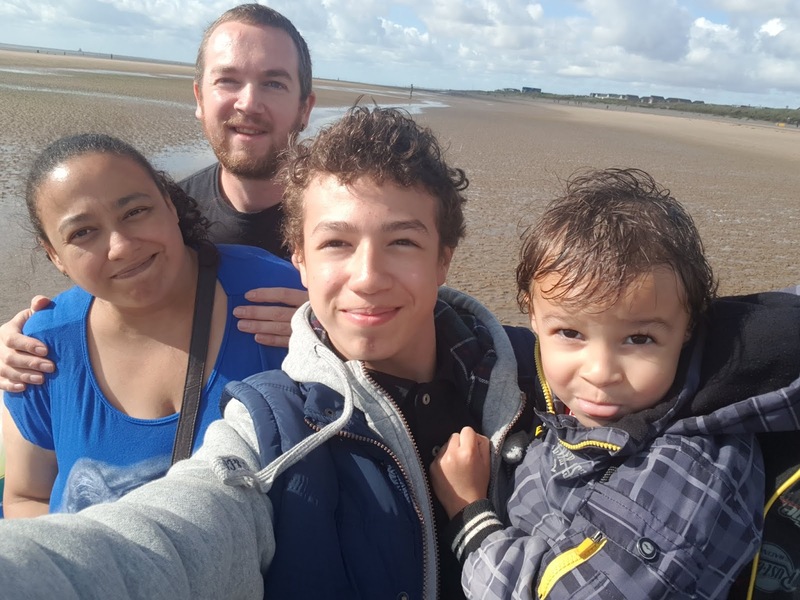 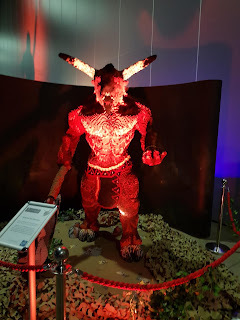 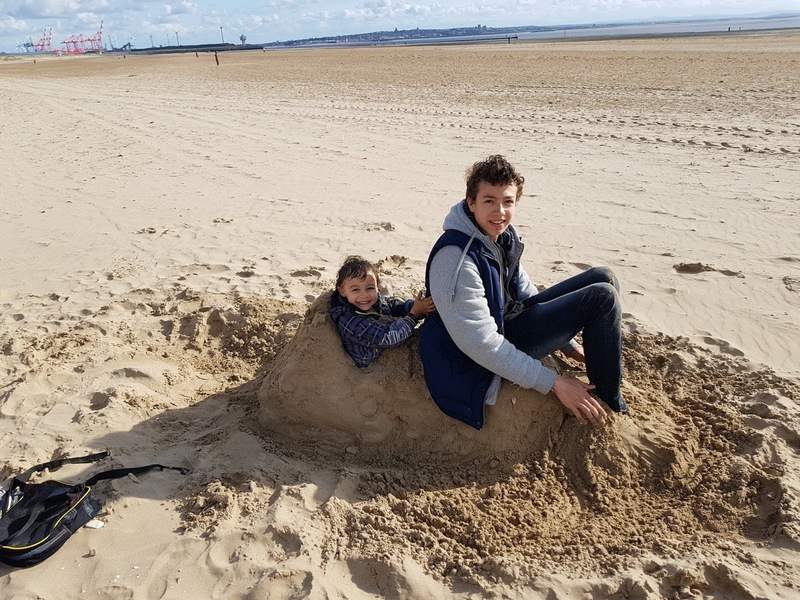 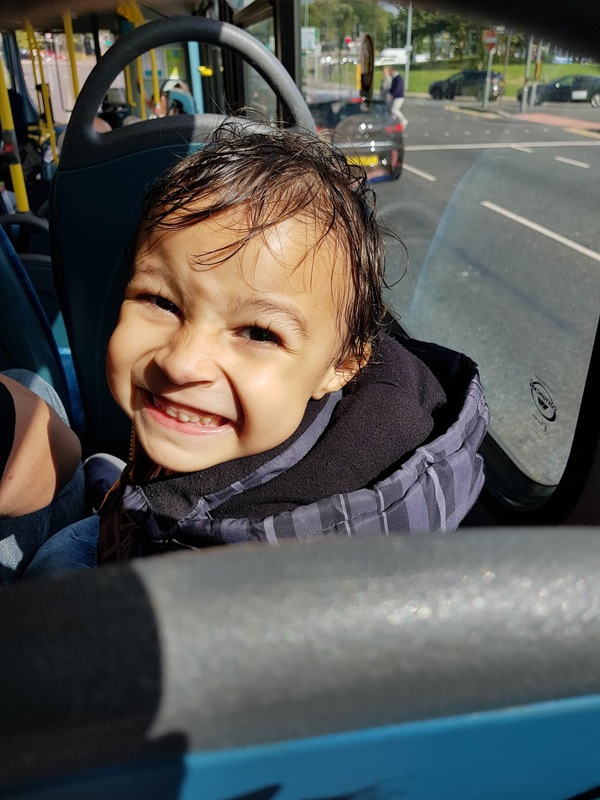 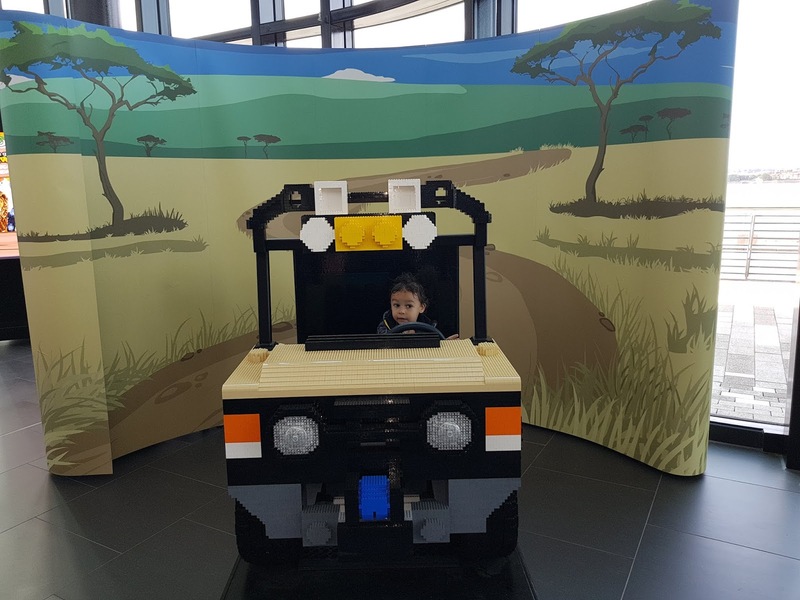 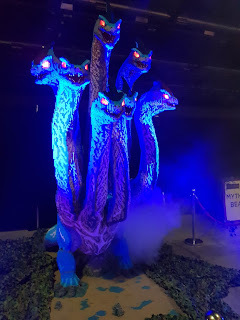 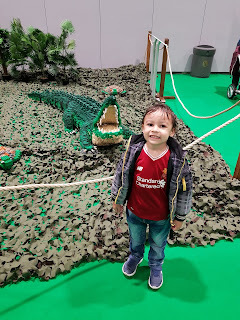 I was lucky enough to win family tickets to The Great Brick Adventure here in Liverpool from @arrivanorthwest on Twitter and it even included a family day ticket for their buses too! 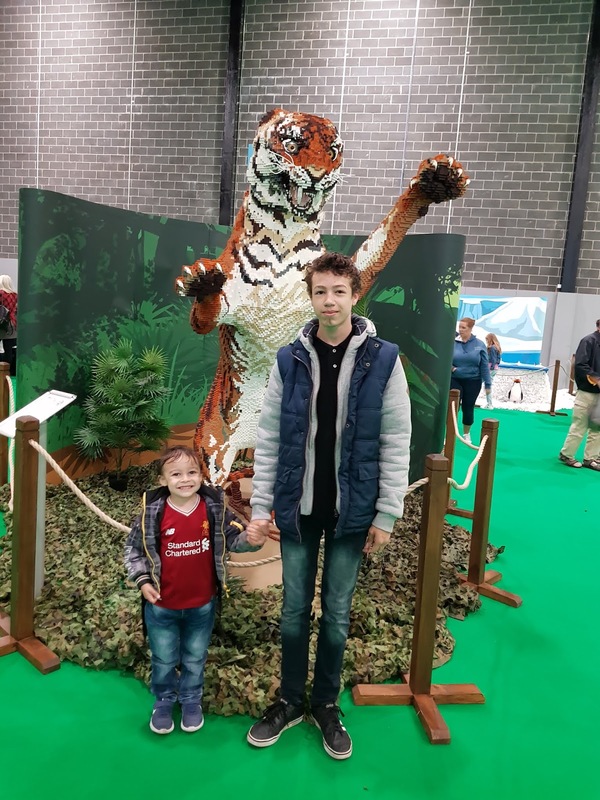 Marley was really looking forward to going as he loves Lego and he was excited to see the massive things made out of Lego. The first area was all of the huge Lego animals. 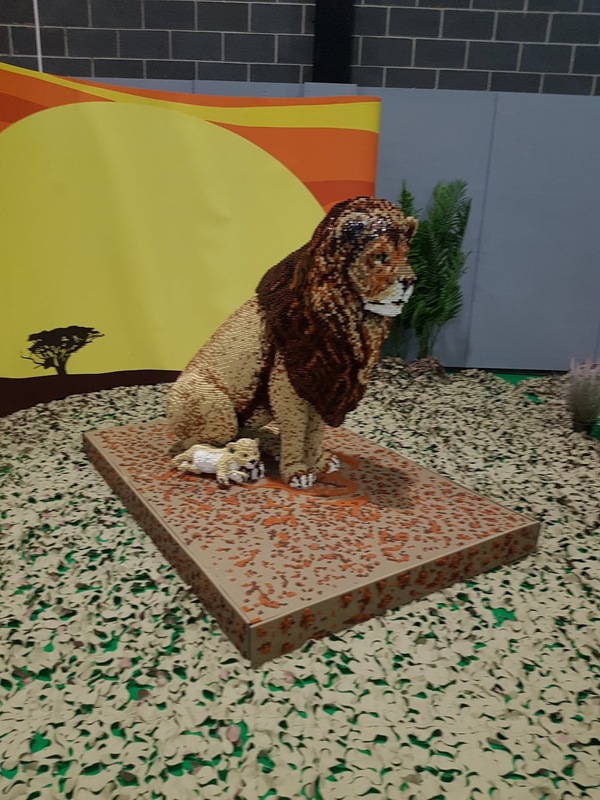 We came across Linus the Lion first - it took 4 people 400 hours and a total of 65,440 bricks to make him! 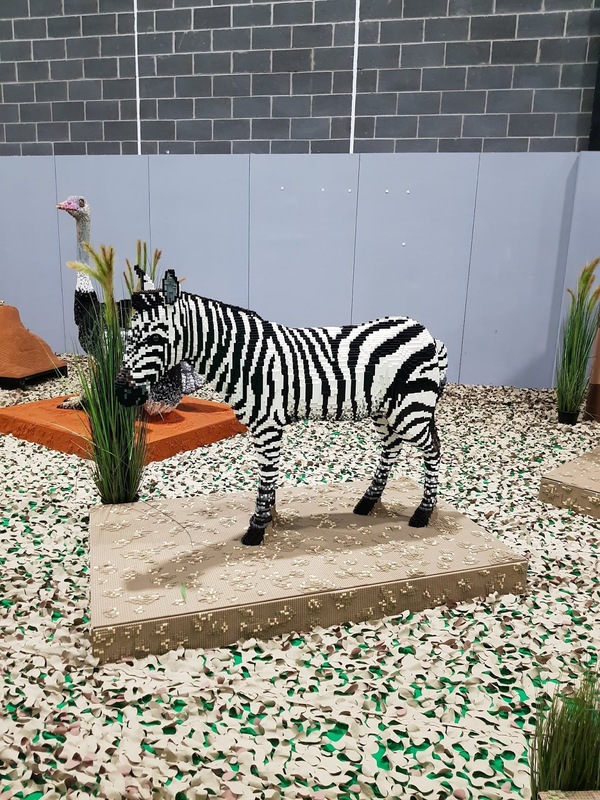 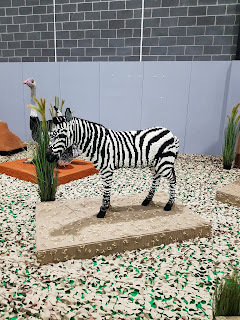 Then we looked around at all the other Lego animals, some of which I've put photo's of below - Waldo the Warthog (who took 4 people 71 hours and 14,170 bricks to make), Zaria the Juvenile Zebra (who took 3 people 180 hours and 21,630 bricks to make), the Crocodile who was trying to eat Marley and the Tiger who wanted David and Marley for dinner! 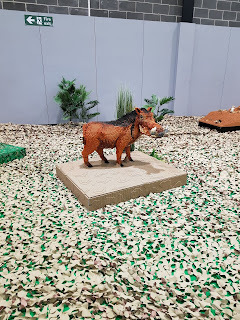 Marley had a go at making some of the parts for the Harriet the Hippo they were making! 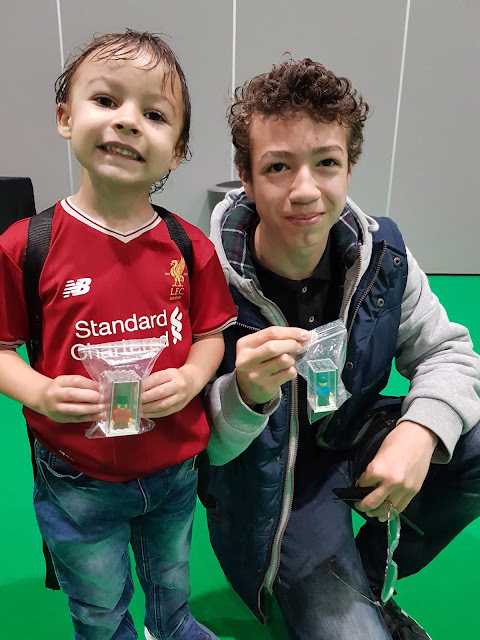 Then David and Marley both got a personalised Lego minifigure as souvenirs. 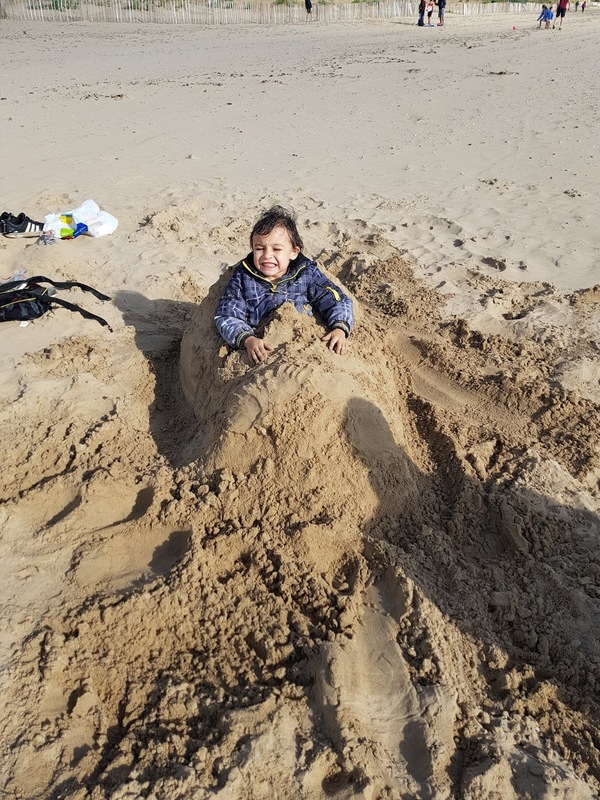 Marley decided his alter ego should have a big moustache and a top hat - it didn't much look like him at all! David went for a more realistic looking one! We had a great time, but Marley has a very, very limited attention span and so soon got bored and wanted to go, though we did get to see everything anyway. 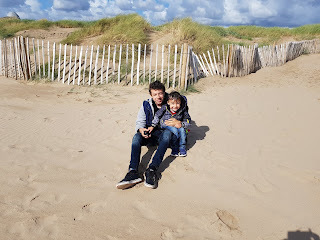 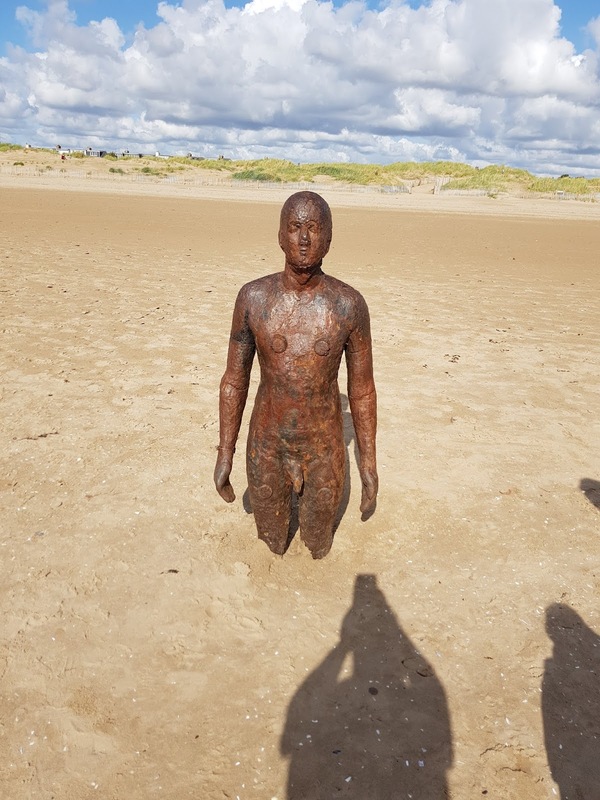 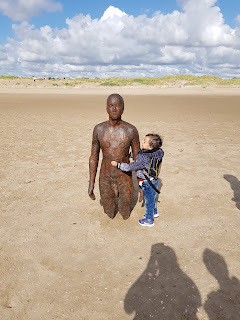 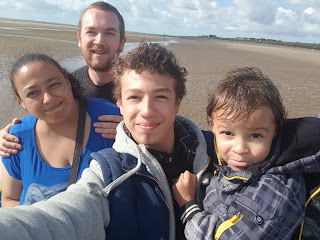 Because we had our family day pass for the bus, we decided to do something else to fill in some more day, so we got the bus from the city centre to Crosby so we could go to the beach - Marley and David love the beach and it gave me and Paul the chance to finally see the art installation Another Place by Antony Gormley. 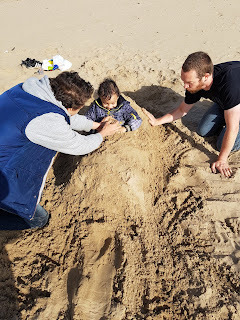 Then Paul and David helped make Marley a car out of sand! Overall we had a great day out!